IK Osakioduwa's #TipsTo GettingAMan - Really? 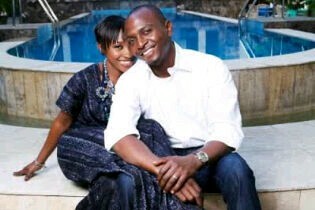 IK Osakioduwa is a radio show host at Rhythm 93.7 and he is married with two children. He tweeted yesterday that he was vexing on his show, trying to help ladies find guys. Well, he came up with numbered tweets with the hashtag #IksTipsToGettingAMan on Twitter. I saw some discussion around the tips on my timeline and decided to go to his profile and check out all the tips. 54 Comments, Add Yours and Share!